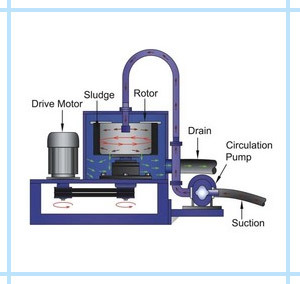 The Lubricant to be cleaned is passed through a rotor, driven by Electric Motor. Inner wall of rotor as dense cake. Clean oil return back to oil tank. 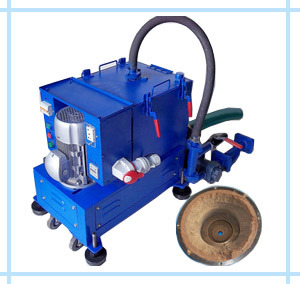 With clean oil, wear of tools and dies is reduced and job finish is improved. Teh oil need not be replaced frequently, thereby saving substantially on oil expenses and protecting Environment.